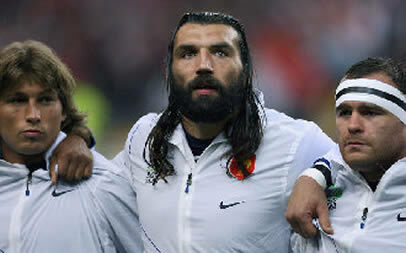 Racing-Metro star Sebastien Chabal, already reeling from being left out of France’s World Cup squad, was on Thursday suspended for 60 days by the National Rugby League’s (LNR) disciplinary commission for accusing referees of bias. Chabal, who will miss the end of season play-offs as a result, caused a stir last month over his remarks, which triggered a two-week ban by his club. 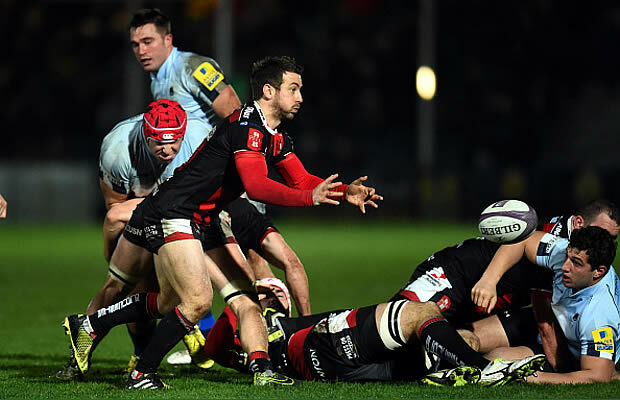 The 33-year-old forward was summoned to appear before the commission for having “harmed the greater interest of rugby” and risked a potential life ban. His two-month suspension will be reduced to 30 days if Chabal accepts to participate in activities for the good of the game proposed by the disciplinary commission. Chabal, who on Wednesday was left out of France’s 2011 World Cup squad, had told the Journal Du Dimanche newspaper that “Top 14 referees are hopeless”. The 62-time capped player claimed that they favoured Castres, whose former president is the LNR supremo Pierre-Yves Revol, and Biarritz, which is run by Revol’s predecessor at the LNR, Serge Blanco. The ban means Chabal will miss the Top 14 semi-final in Marseille on May 28 against either Castres or Montpellier as well as the final, should Racing make it, at the Stade de France on June 4. “We knew that the disciplinary commission was going to sanction him but it’s very, very heavy,” said Racing-Metro president Jacky Lorenzetti, who added that there will be an appeal.